World renowned architect Daniel Libeskind, a 1970 graduate of CooperUnion’s architecture program, speaks at his alma mater in a free, public lecture. The master planner for Ground Zero and the architect of one of Europe’s most visited museums, the Jewish Museum Berlin, explains the role that memory played in his work on those projects and others, including the Danish Jewish Museum, Manchester’s Imperial War Museum and Dresden’s Military History Museum. He also speaks about the acute sense of responsibility he feels when accepting commissions for projects addressing Jewish history, to create work that testifies to both the traumas of that history and the resilience of the Jewish spirit. 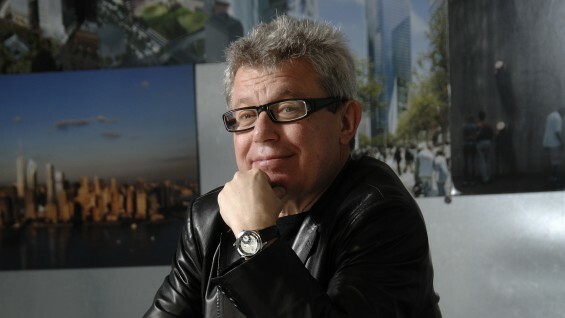 Daniel Libeskind established his architecture practice in Berlin in 1989, moving its headquarters to New York City after winning the competition to design the master plan for the World Trade Center site redevelopment in 2003. Over the last decade he has designed major projects around the world and has received many awards, including Germany’s Deutsche Architekturpreis in 1999, the prestigious 2001 Hiroshima Art Prize and the Buber-Rosenzweig Medal in 2010. Daniel Libeskind lives in New York City with his wife and business partner Nina Libeskind. Co-sponsored by The Cooper Union Hillel as a Holocaust Remembrance Event. The event is free and open to the public on a first-come-first-served basis.